Sometimes, you find that you can’t install iTunes on your PC. Do not panic. Many people report this issue in Apple Communities. It gets frustrating. No matter how hard you try, the result appears the same. In the end it is either you give up trying to install the app, or you start looking for a solution, which is precisely what this article is about. iMyFone TunesFix, a professional iTunes repair expert, has a list of features which will conveniently take care of these problems for you the easy way. Some of these features have been outlined for you so you will know exactly what you are dealing with and how you are going to go about your installation problem. 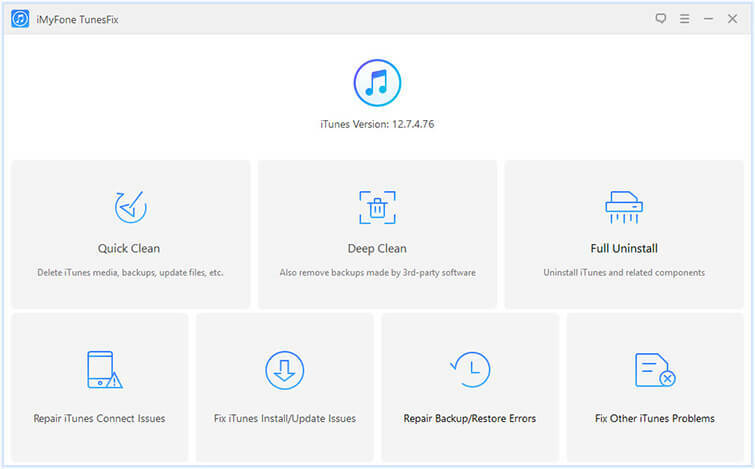 Repair iTunes install issues, like windows installer issue, not installed correctly, installer could not be accessed, and any errors occurred during installation. Also fix iTunes connect issues, restore/backup errors, stop working problems, etc. Auto-detect your iTunes issues and provide with corresponding fixes. Only 1 click is required in the whole fixing process, without data loss. 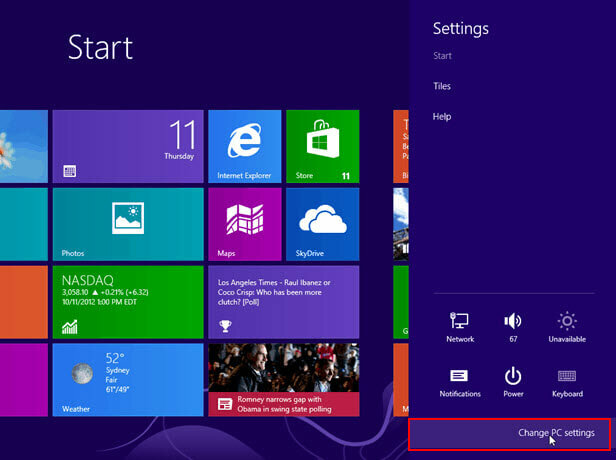 Step 1: Launch iMyFone TunesFix on your Windows PC, it will automatically detect your iTunes. 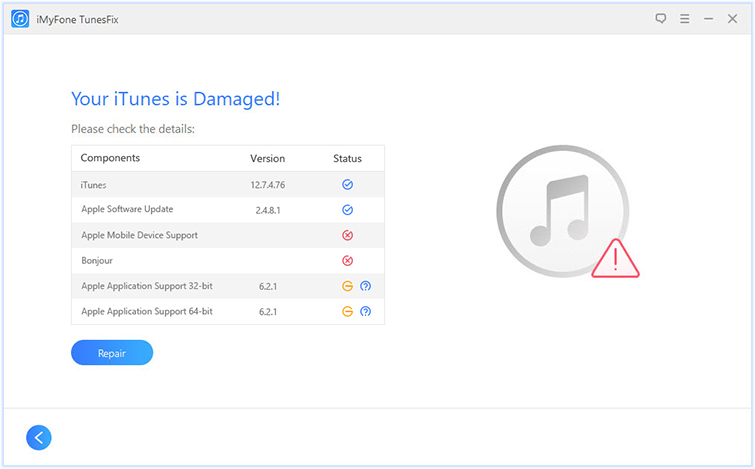 In this case, it will show you “Your iTunes is damaged”. If there is a question mark, you can click on it to view more details. Step 2: Click Repair there and it will start repairing your iTunes. When it’s done, the iTunes will be successfully installed on your PC. Step 1: Open Control Panel on your computer. Step 2: Scroll down and choose User Accounts. Step 3: Click Manage User Accounts or Manage another account. Step 4: Type the administrator password and confirm it if you are required. Your account type will be displayed under your user name. 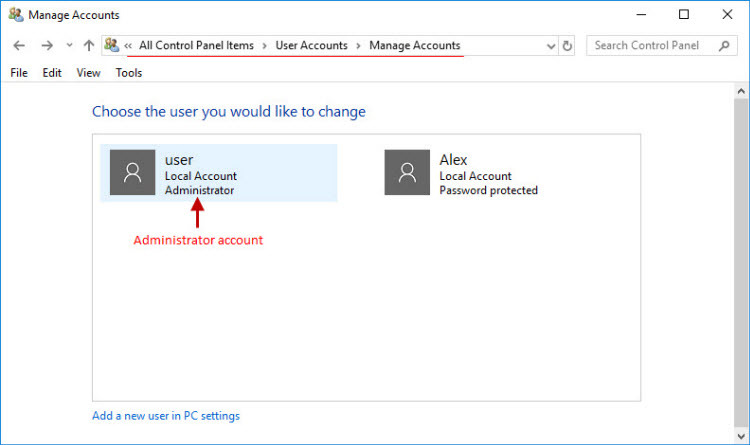 If the account type is Administrator, you are currently logged in as an administrator. Always check for updates for your Windows, it may help fixing “can’t install iTunes” issue. 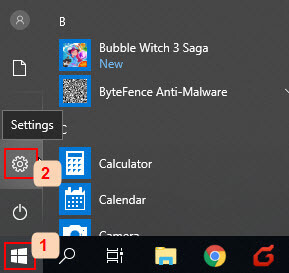 The steps are different if you use different Windows PC. Step 1: Tap Windows key on keyboard, click on Settings. Step 2: Scroll down and choose Update & Security. 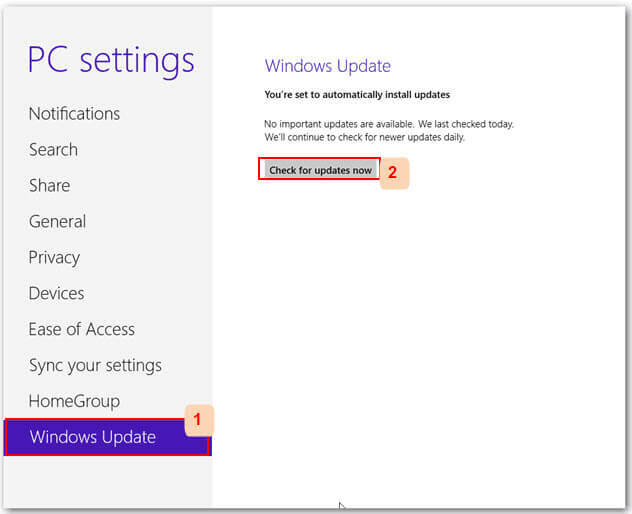 Step 3: Select Windows Update and choose Check for updates from the right panel. Step 4: It will start checking. If there is a new update, you can click Update to install it. Step 2: Choose Change PC settings. 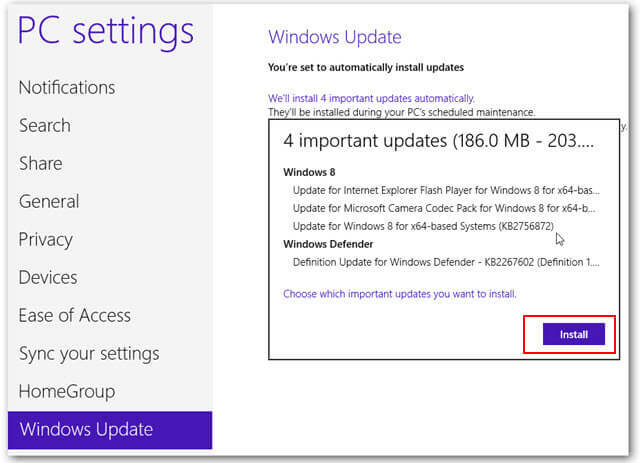 Step 3: Scroll download and click on Windows Update. Then click Check now from the right panel. Step 4: If there is a new update, click Install to get started. 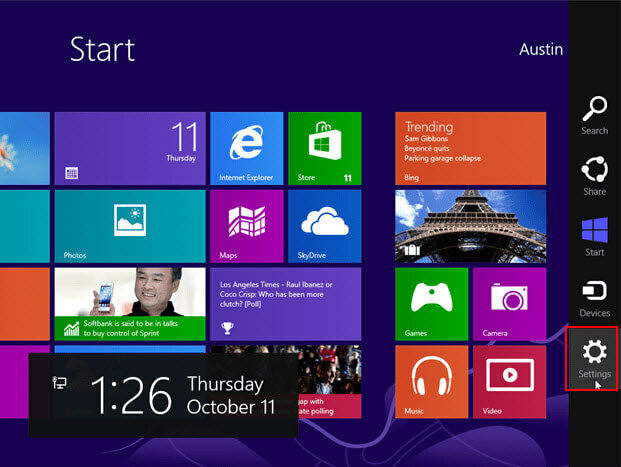 Step 1: Select Start on your PC and choose Control Panel. 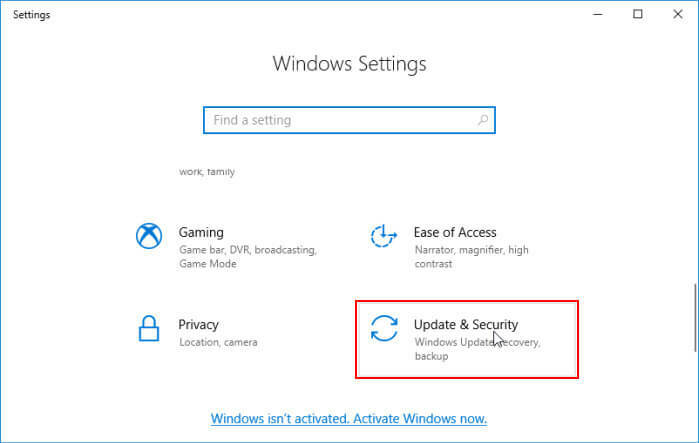 Step 2: Select System and Security and choose Windows Update. Step 3: Here, select either “important updates are available” or “optional updates are available”. It will start checking updates. Step 4: It will show you the update if there is one. Please keep in mind the update number that you can download. Step 5: Select the Download Center link, type the update number in the search bar and click Go. 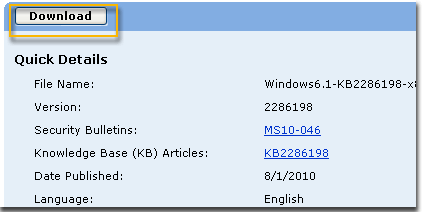 Step 6: It will search for all contents related to the update number you provided. 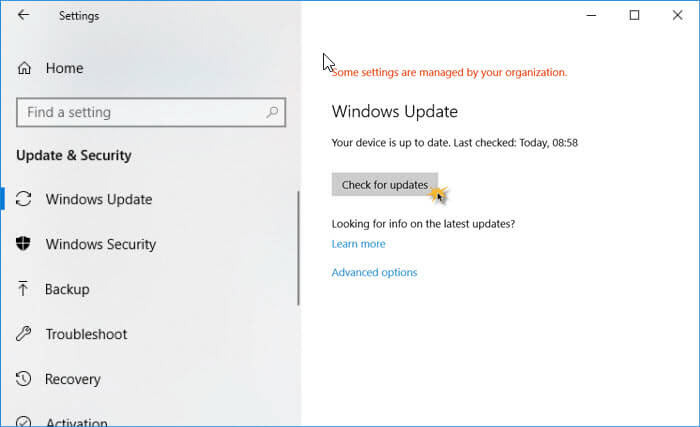 Select the security update for Windows 7. Step 7: Click on Download in the download page. 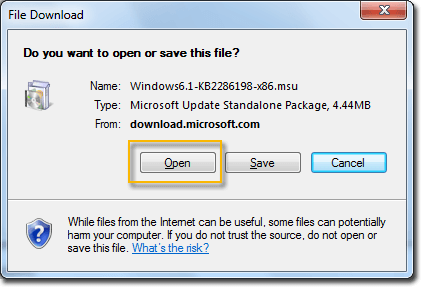 The File Download window will appear, click Open to automatically install the file after downloading. Or it may be necessary to remove any components left by the previous installation and reinstall. You can refer to this guide to do it. Or you can easily use iMyFone TunesFix’s “Full Uninstall” feature to uninstall anything left by the previous installation in just one click. You can choose to uninstall iTunes and components without deleting iTunes user data. Or you can uninstall components and delete user data as well, including music, videos, backups, etc. Step 1: Launch iMyFone TunesFix and it will detect your iTunes. You will be guided to its home interface. Note: If it shows your iTunes is damaged, you can click Back icon. Step 2: Choose Full Uninstall there. Then select Uninstall. 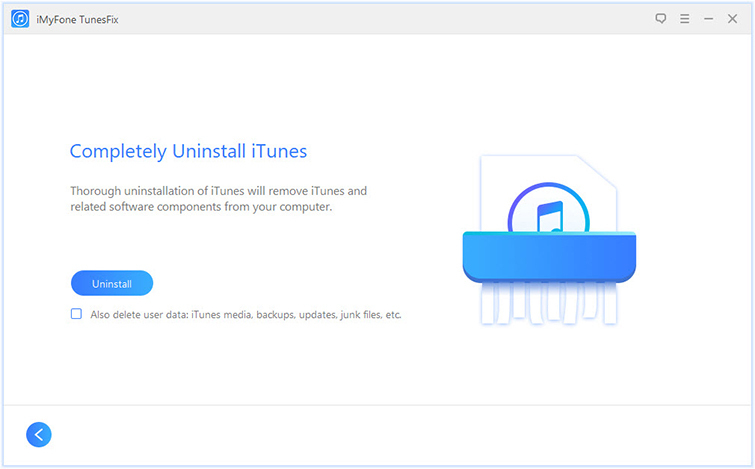 It will start uninstall iTunes and left components from your PC. Note: If you also want to delete iTunes data, check “Also delete user data...” before you click “Uninstall”. The last thing you can try is to take advantage of iTunes installer file to repair iTunes. Step 1: Download the specific iTunes here: Download latest or old version of itunes. 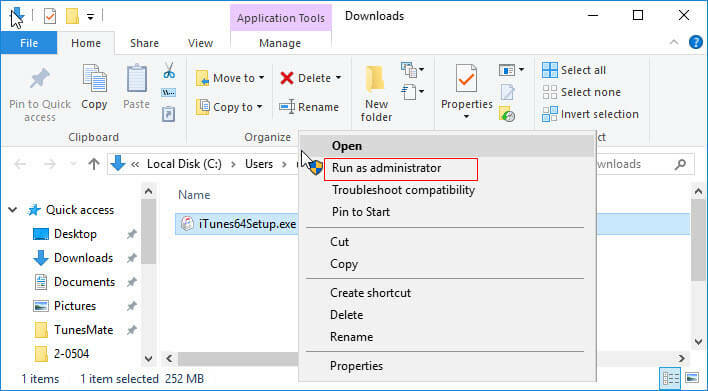 Step 2: When download is finish, right click on the iTunesSetup or iTunes64Setup file and choose Run as administrator. 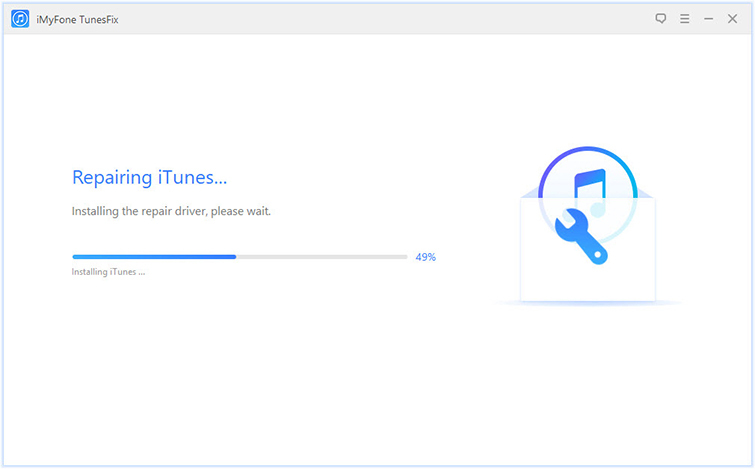 If you have installed iTunes previous, the installer will prompt you to fix iTunes. When it’s finished, reboot your computer and try opening iTunes. Note This method is not working for those who have installed iTunes before. If it’s the first time you install iTunes, this way is not available for you. Always remember that whatever problem it is you may have with your iTunes app, iMyFone TunesFix will always provide a solution for that. Okay, back up a little bit, the solution has already been provided because we have already envisaged the kind of problems you may have with the iTunes app and solved them already for you. It is left for you to get your iTunes up and running on your iTunes as fast as you want it.